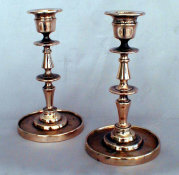 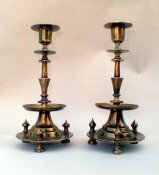 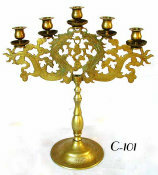 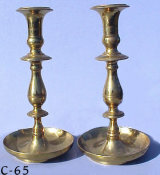 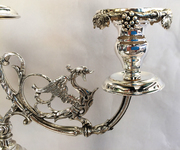 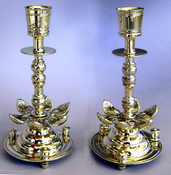 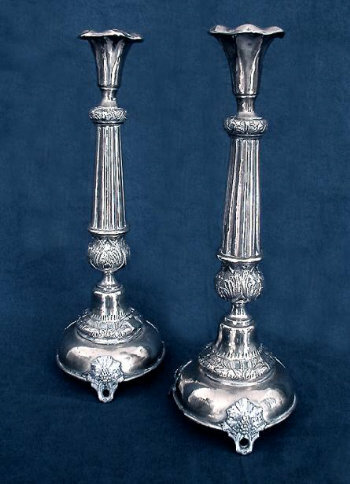 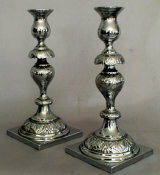 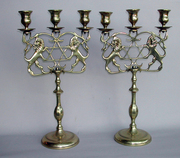 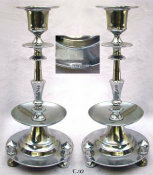 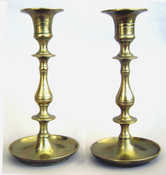 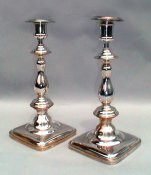 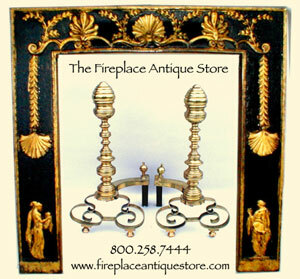 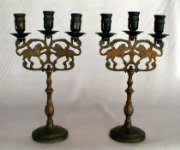 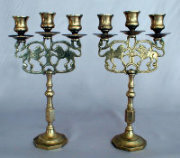 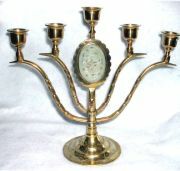 A pair of Magnificent Polish Sabbath Candlesticks, each set on three grapevine supports. 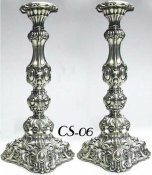 The tall, tapered, finely fluted columns rise from a domed base chased with further grapevine decoration. 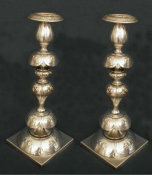 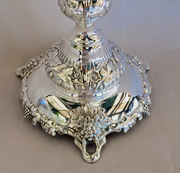 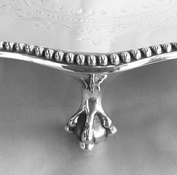 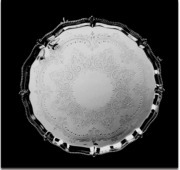 Knops above and below decorated with floral motif. 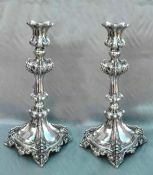 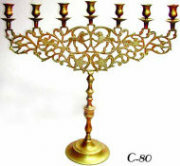 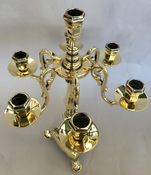 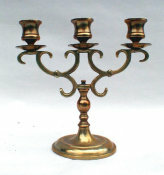 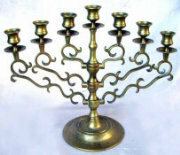 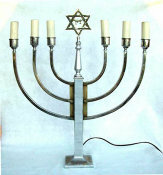 The beautiful candleholder of fluted petal form.